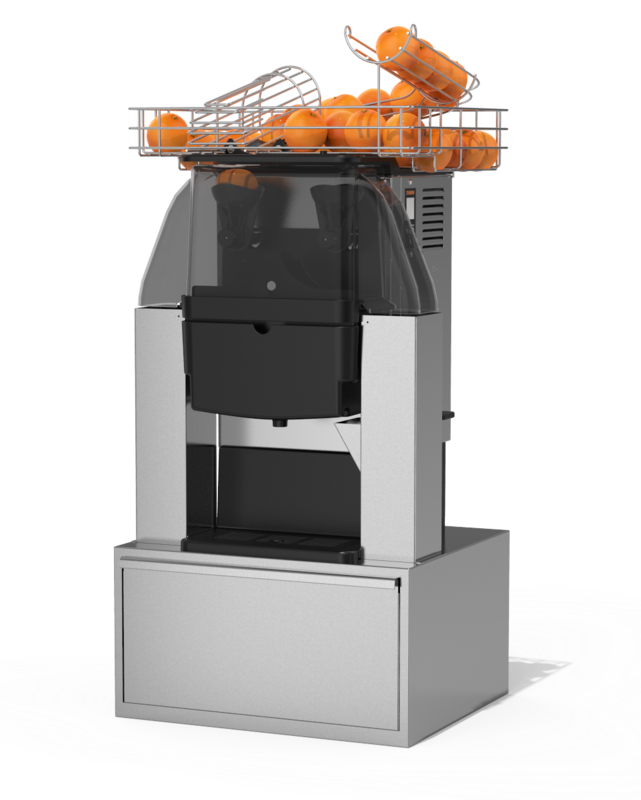 The Zummo Z06 Compact machine is the perfect choice if you serve a moderate amount of fruit juice, but have limited space. The Zummo brand has its high reputation for unique action, vertical squeezing juicing machines. One at a time, the fruit is cut in half then squeezed without the juice coming into contact with the bitter peel. The result – fresh, natural fruit juice that tastes delicious. The Zummo Z06 Nature Compact is suitable for oranges, limes, lemons, mandarins, grapefruits and pomegranates. The top-mounted basket holds up to 5.5 kg (12 lbs) of fruit. The feeder chute takes 8/9 fruits. It can alternate different fruits. Drip tray and grille, stainless steel filter, 2 x 9 litre waste peel collection bins. 230V-50Hz, 220V-60Hz, 110V-60Hz, 240V-50Hz, 120V-50Hz. Automatic triple safety sensor with thermal cut-out. 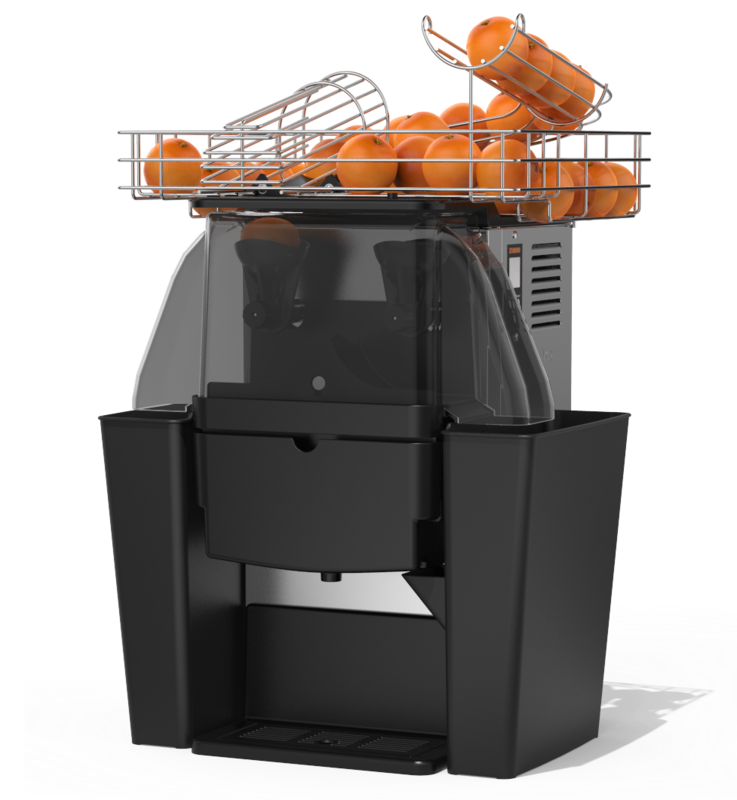 The Zummo z06 juicer machine will stop and any incorrectly positioned parts will be indicated on the display screen.